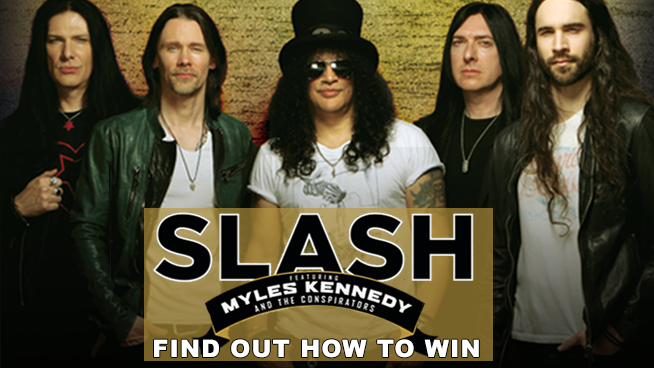 You Could Win Tickets To Slash Featuring Myles Kennedy! Enter for a chance to win two (2) tickets to see Slash featuring Myles Kennedy and the Conspirators at The Warfield on July 15th! Furnished by AEG/Goldenvoice. Grab tickets and info at axs.com. Contest ends 4/30/19 @ 11:59pm. One (1) entry per person. Five (5) winners will be awarded. Retail value: $60.00. ﻿Your browser does not support iframes. Please visit http://1077thebone.listenernetwork.com/Contest/CKAQEL.